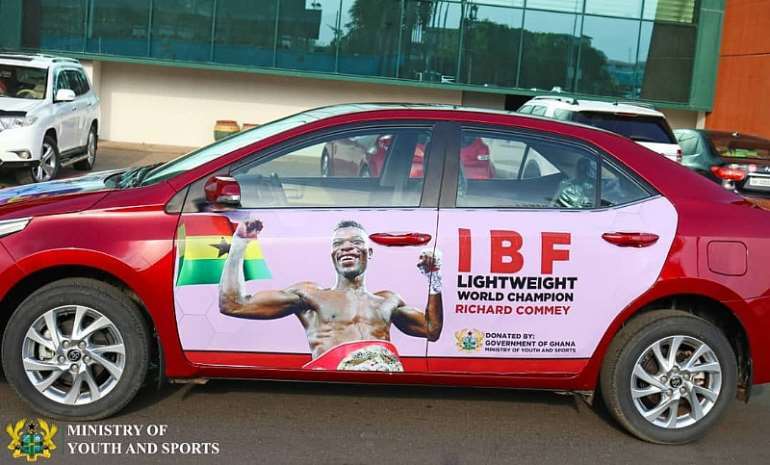 Richard Commey, newly crowned IBF Welterweight champion has received a brand new Toyota Corolla from the Presidency. 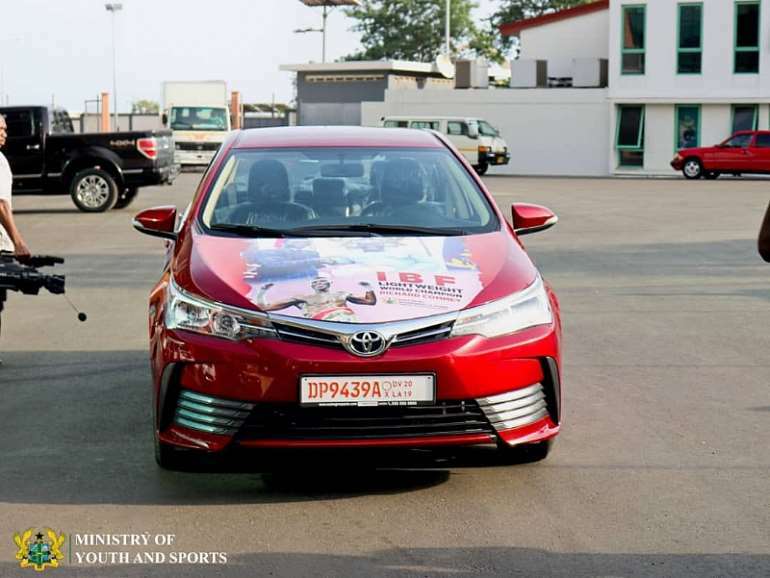 Earlier this month, Commey paid a courtesy call to the Presidency where President Akufo-Addo gifted him a sum of GHC50,000 and promised him a car. True to his words the president has delivered his promise. 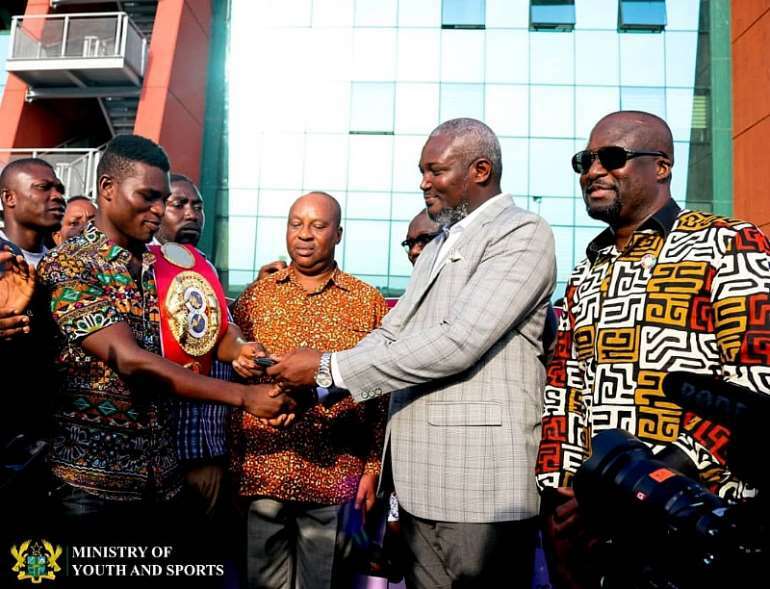 In his Speech, Richard Commey thanked the President for the wonderful gift and said moments like this encourages him to win more laurels for the country. He added that the gesture will also urge other athletes to give their all and make the nation proud. Commey knocked out his Russian opponent Isa Chaniev, in round 2 to claim the IBF title last month in Texas. 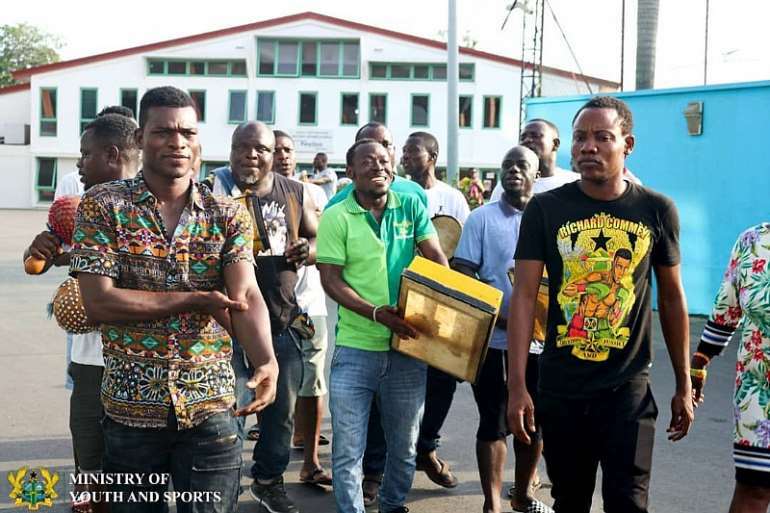 He became the 9th Ghanaian to win a title at the world stage. 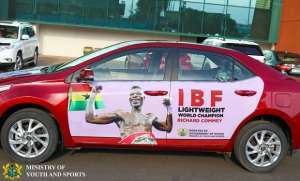 The others are David Kotey Poison, Azumah Nelson, Nana Yaw Konadu, Ike Quartey, Alfred Kotey, Joshua Clottey, Joseph Agbeko, Isaac Dogboe.